The RM3 brushed aluminium finish shines with its superb quality. 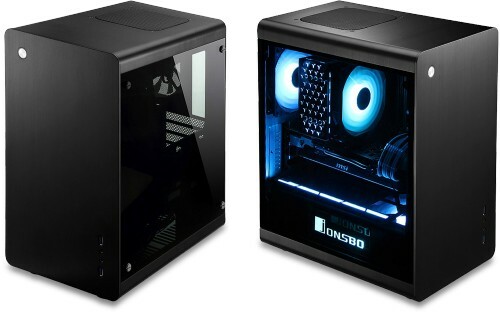 This gorgeous case features tempered glass windows, which are an optical highlight for all hardware enthusiasts who enjoy looking at the inner workings of their PC. The deliberately simple design of brushed aluminium in combination with two tempered glass full-sized windows is just one of the main features of the RM3. 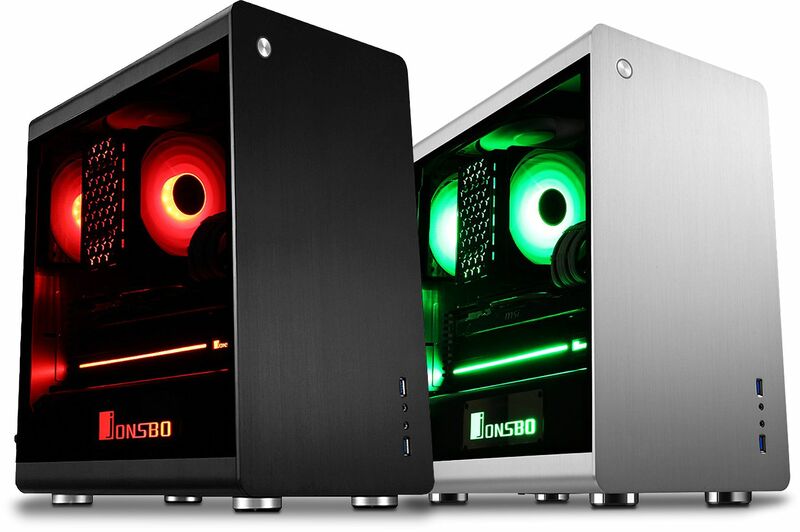 In this RGB version, the RM3 is equipped with two 120mm FR-531 RGB fans on the rear of the case and at the bottom. In addition, the housing includes a LB3 RGB LED strip. The RM3's two RGB fans can be connected along with the Jonsbo nameplate and the LED strip to the included RGB controller. Alternatively, if the motherboard is equipped with a 4-pin RGB headers (such as ASUS Aura or MSI Mystic Light) you can connect the RGB products directly to the motherboard and control them through the appropriate software. Despite the compact dimensions of the RM3, the intelligent interior design allows the installation of motherboards of up to 245 x 245 mm. This means, Micro-ATX or ITX motherboards are compatible. The RM3 can also accommodate standard ATX power supplies and the case has four expansion slots. The installation of the motherboard is very simple - after removing the left glass panel it can be installed with little effort. 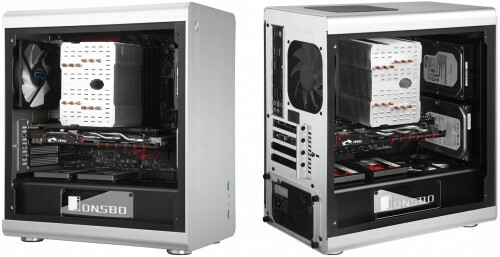 The high-quality and well-manufactured Mini-Tower RM3 can accommodate graphics cards with a maximum length of 310mm and CPU coolers with a maximum height of 170mm. The ventilation system of the RM3 is simple but still very effective. One 120mm fan is installed in the rear of the case that intakes cooler air into the interior of the case. The special frame on the bottom of the RM3 includes another 120mm fan and the power supply; this fan also intakes air into the case. Both of these fans are with supplied with dust filters to help reduce the amount of dust brought into the case. The fan installed on the top of the case is 140mm and acts as the exhaust fan. In order to guarantee a particularly smooth-running system, the hard disk drives are anti-vibration mounted at the bottom of the RM3. You can install 2x 2.5" HDD / SSD on the special frame on the bottom of the case and another behind the motherboard. Additionally two 3.5" HDDs or 2.5" SSDs can be installed towards the front of the case. Another feature of the RM3 is the possibility to install a 120mm water cooling system, but this is installed at the front of the case and therefore installing the aforementioned two 3.5" HDDs or 2.5" SSDs would not be possible. Installing a water cooling radiator would also decrease the maximum length of compatible graphics card down to 285mm (depending on the thickness of the radiator used). Two USB 3.0 and the obligatory audio connectors are conveniently available at the front of the case.